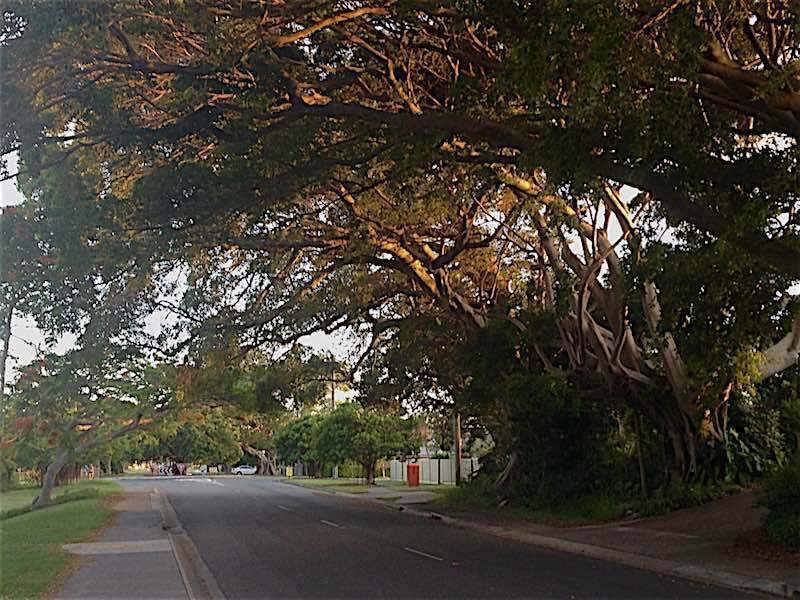 Next time you have a Sunday afternoon to spare, why not take a stroll (or drive if you don’t have the energy) along historic Cleveland Point. 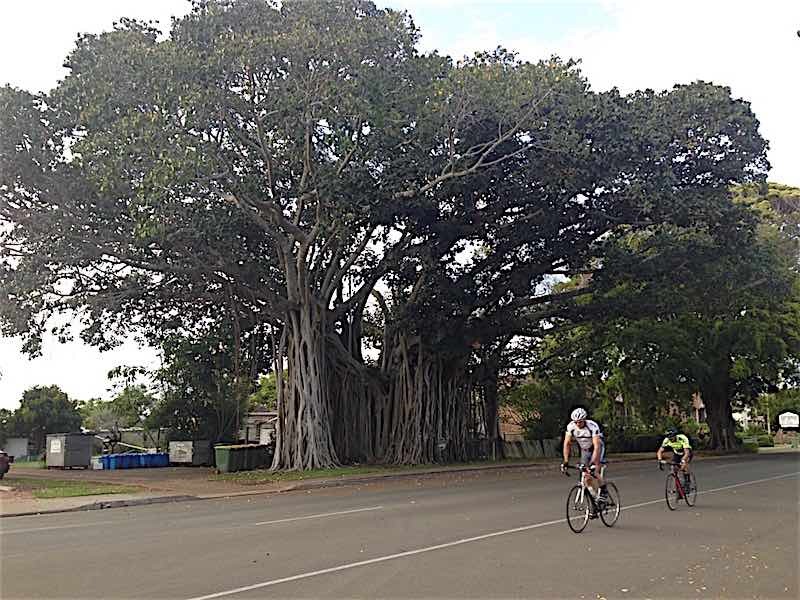 What better place to start than to visit Queensland’s oldest Banyan Tree. (Pity about the rubbish bins just behind it). 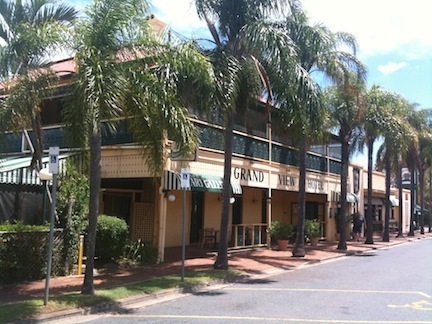 It stands right beside Queensland’s oldest licensed pub that is still operating, The Grand View Hotel. Right next to the Grand View Hotel is the now restored Johnny Cassim’s Hotel. 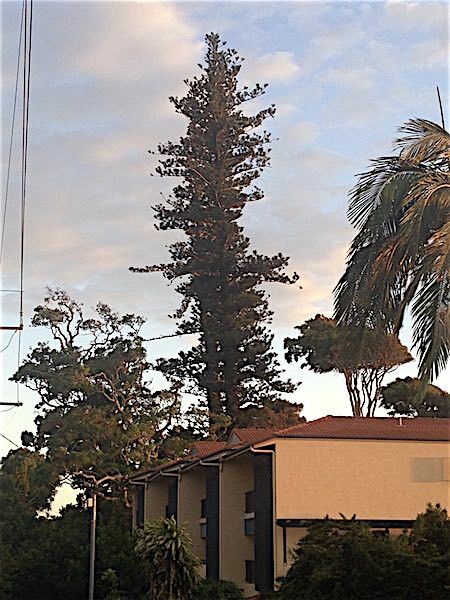 In its heyday, it stood alone, but is now ‘landlocked’ by private dwellings. John Cassim was the first publican the district. He conducted the Grand View for Francis Bigge prior to building Cassim’s Hotel about 1860. The hotel was converted into flats after a tree was hurled on to the building during a severe storm in 1929. 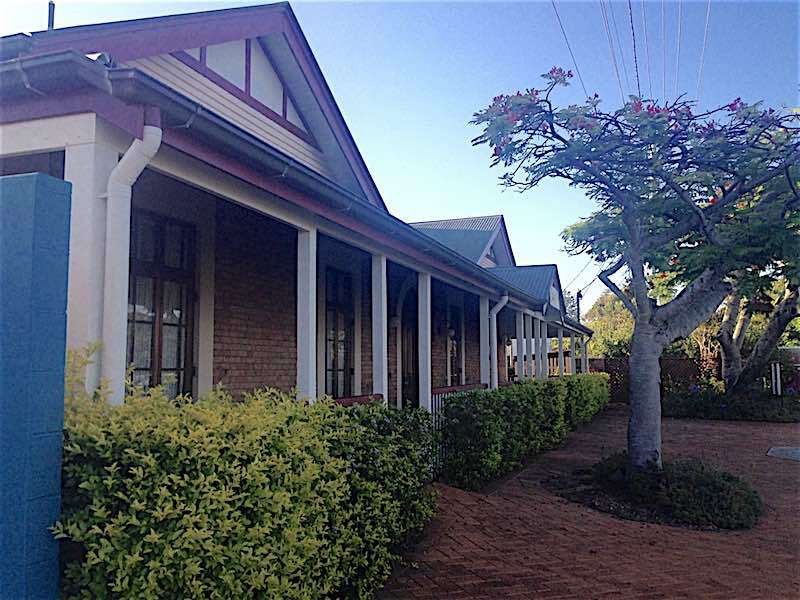 The former hotel is now heritage listed and has been renovated. (c). 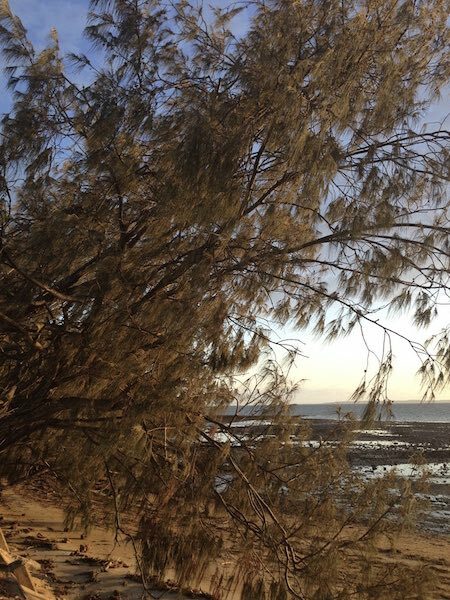 The charming little Casuarina lined beach to the right of the road just near the Point itself is the result of the labours of local resident, John Mason, who still lives opposite. John built the groins there, too, the idea being to build up the sand opposite his house and thus stop high tides coming over the road. It didn’t work, but the beautiful little beach still remains. Incidentally it was John who planted the Casuarinas there from seeds brought from Raby Bay. 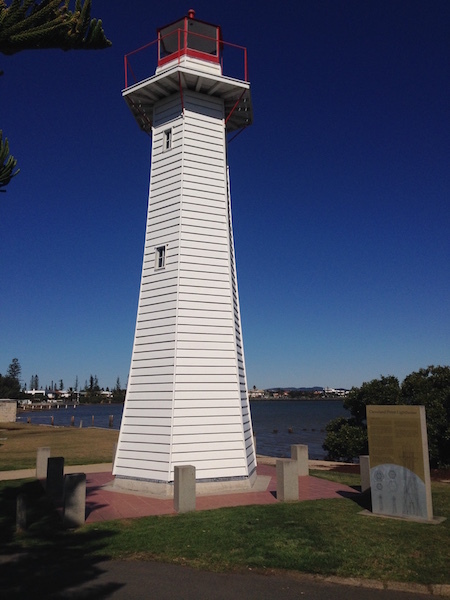 After all that history, why not call into the Lighthouse Restaurant for some fish and chips, or on the way home, for a beer at the Grand View Hotel? You deserve it! The Brisbane Courier, June 23rd, 1927. 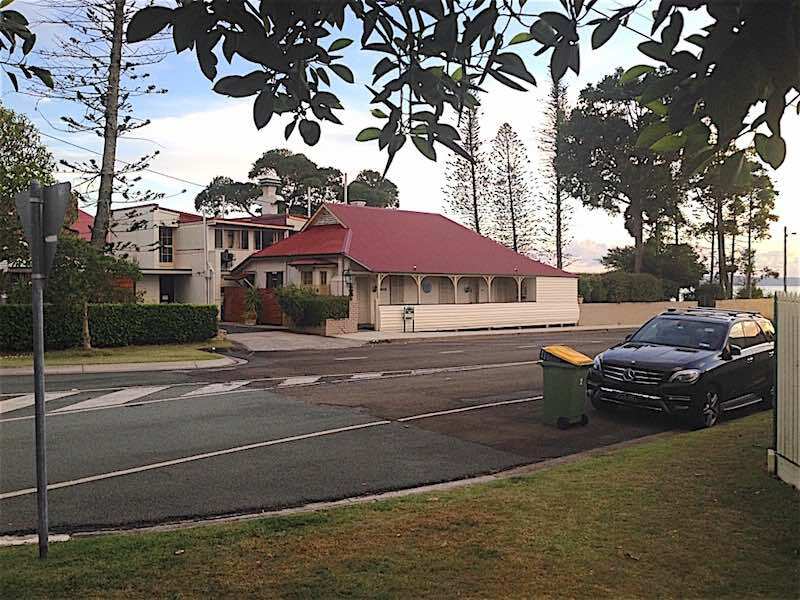 Nothing is mentioned of the former Railway Line which terminated at Cleveland Point. Good comment Dudleigh. I was actually referring to the history still visible on my walk. Though probably could have mentioned the house of Thomas Kirk (the first steam train driver) still extant next to the Court House.